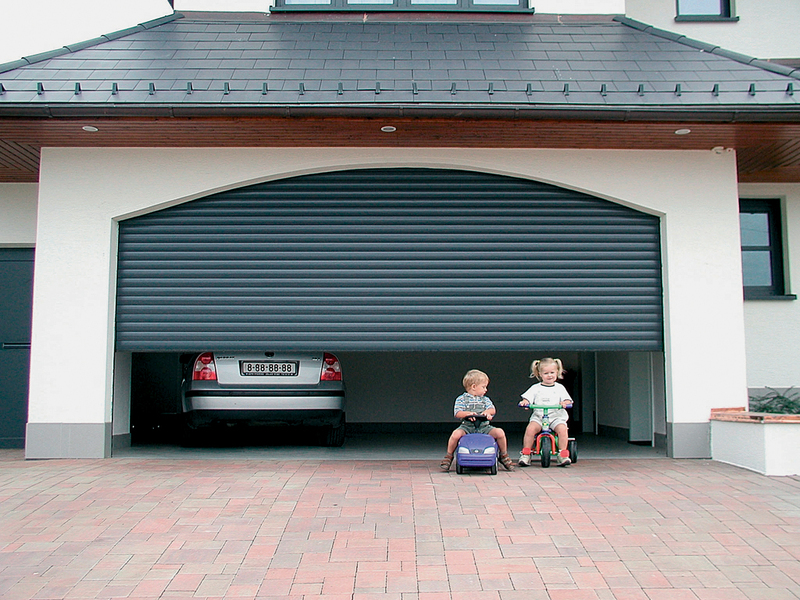 Rolled doors are ideal solution particularly suitable for small garage rooms. Thanks to the vertical guiding and no ceiling guide rails, it takes minimum amount of space on the door head inside and does not take place under the ceiling, as the door curtain is covered by an aesthetic box. We offer a wide range of colours to enable roller door colour to be matched with the building facade. 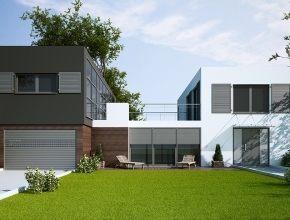 DK-PROF offer includes both doors of wood-like colours and doors painted in chosen RAL colours. 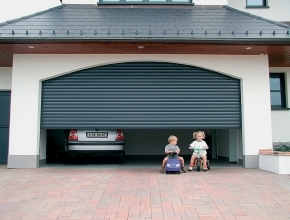 Roller doors are available in six standard colours. On Customer’s request, the door can also be manufactured in the following additional colours. 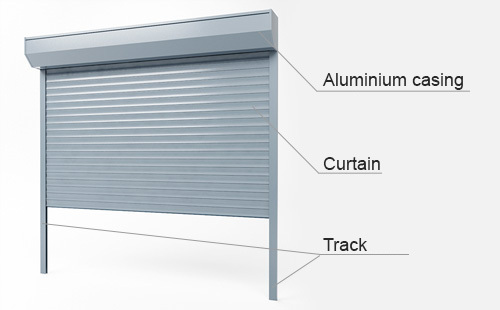 DK-PROF roller door is fully made of aluminium. 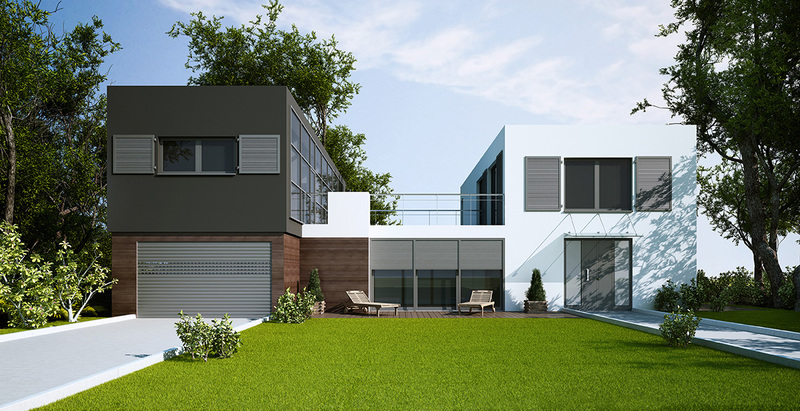 It is standard equipped with a box located on the door head, which houses a shaft with casing. Roller door has 18.5 mm thick casing, with polyurethane foam filling. 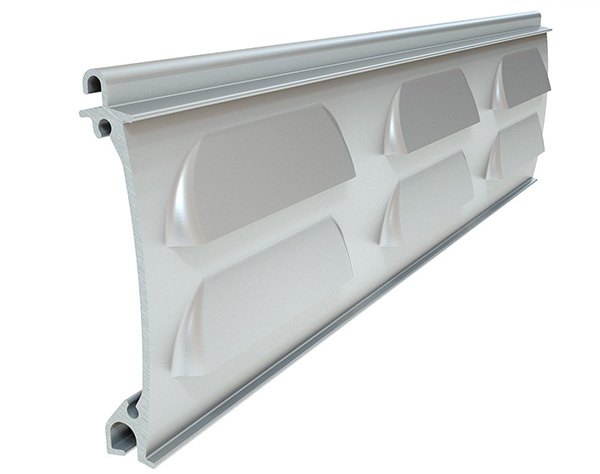 Aluminium casing Made of two-walled aluminium profiles and with polyurethane foam filling inside. Strong, light and resistant to weather conditions, provides operating comfort and safety. 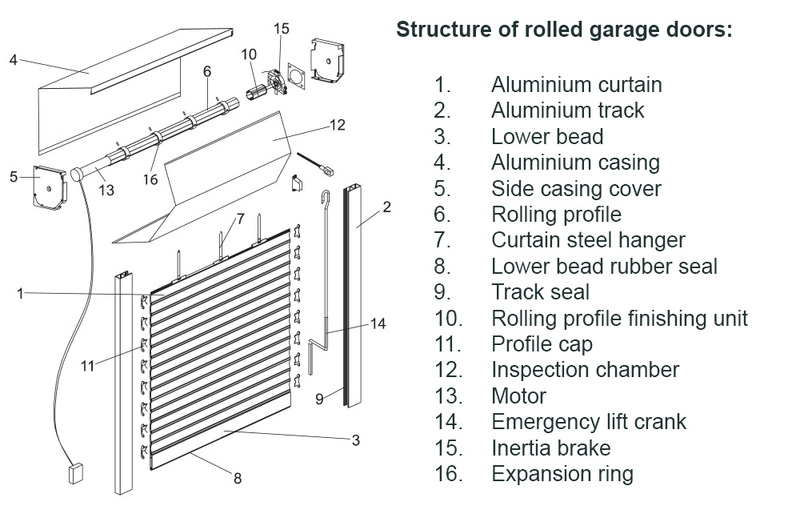 Safety brake Prevents the roller door casing from dropping in an uncontrolled manner in case of the motor failure. Emergency opening crank mechanism The crank used for emergency opening of the door in case if power goes off. External photocells In case an obstacle is encountered, the system stops the door while getting closed (used with Axroll controller). SOMFY Motor Powerful and at the same time reliable drives by Somfy ensure a long-term door operation. The motor is standard equipped with the door emergency opening crank mechanism. Remote control A two-channel remote control for roller door control (used with Axroll controller). Key switch A key switch is standard installed outside the building. Thanks to this, the roller door can be controlled with a key. Button switch Used for door drive control, installed inside the garage. Axroll Controller Enables photocells, and safety brake to be connected and also the door to be controlled with a remote control. 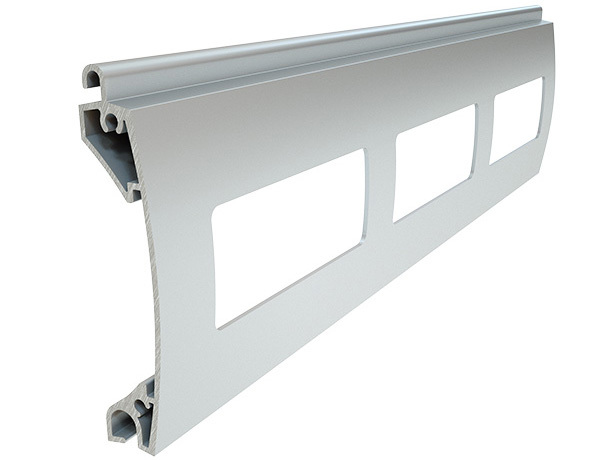 Glazed aluminium casing A profile with glazing enables more light to be let into the garage. 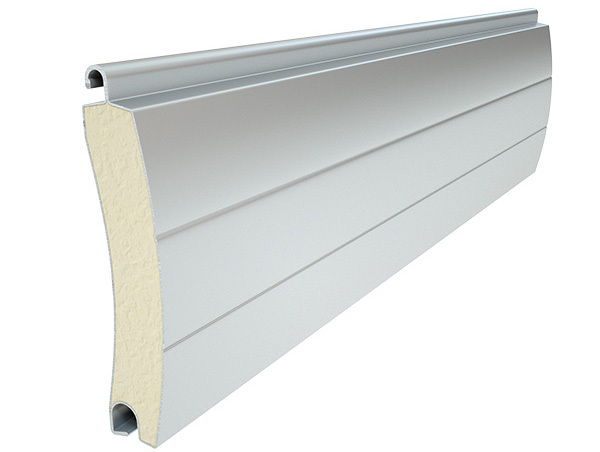 Ventilation aluminium casing A profile with vents provides an additional room ventilation.